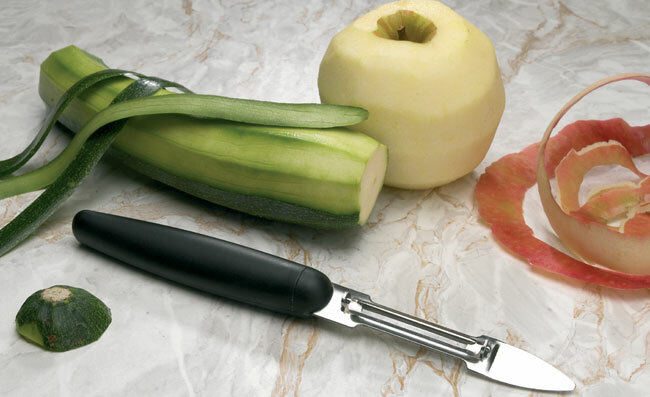 Swivel blade helps to follow the vegetable shape with razor sharp blade. Perfect junction between blade and handle improves hygiene. 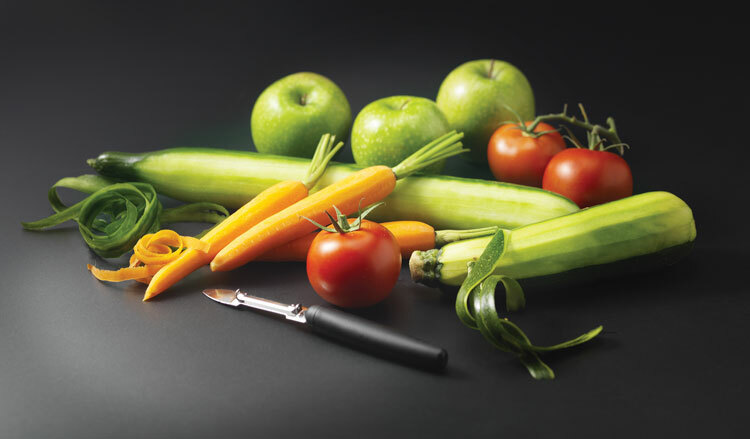 Top blade insures cutting without using a pairing knife. Easy to clean and dishwasher safe. Right or left hand usability. Exoglass handle.